The coconut is a common fruit found in tropical climates around the world. Most people are familiar with 2 types of coconuts: the fresh green coconut for water and the brown ripe coconut for the meat. The first one has great quantity of water and a soft pulp, which is used for cooking to give light taste to drinks and sweets. This is in the earlier stages of development on the tree. As the coconut ripens on the tree it turns brown. It is literally dehydrating on the tree. This is usually seen in stores with the husk already removed and it looks about the same size as a grapefruit. Coconut water can be used by diabetics, since it does not contain sucrose (a type of sugar. The ripe coconut or brown coconut has very little water, but it is rich in meat as a result. It is used as food and in foods, sweets, and desserts. Though the quantity of liquid is small in this sort, it can be consumed normally. The ripe coconut brings out the taste of the foods and can be substituted for nuts and almonds in many recipes, with an outstanding flavor. Under and after the fibrous husk is removed, the surface of the coconut is a very hard shell. The coconut shell is used to make earrings, necklaces and bracelets, cups, bowls, buttons, and even is used as a canvas for painting. 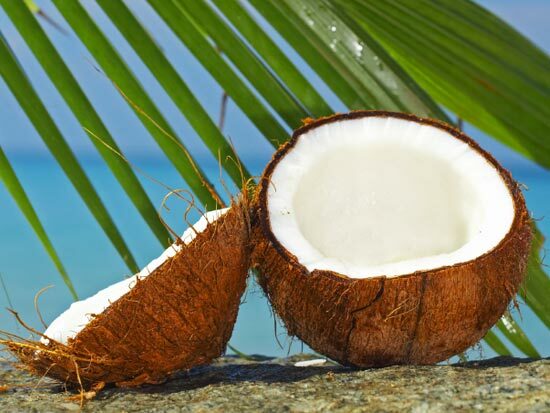 Health Benefits of Coconut Coconut is a tropical fruit that is rich in protein. The meat of the coconut is very good in destroying intestinal parasites that we get from eating infected food. Coconut water is good for kidney and urinary bladder problems. Nutritive Values: Per 100 gm. In Madurai, a culturally rich city in Tamilnadu, Our Company endeavors to create value to its business partners in the field of marketing, supply chain management, customer relationship and international marketing.